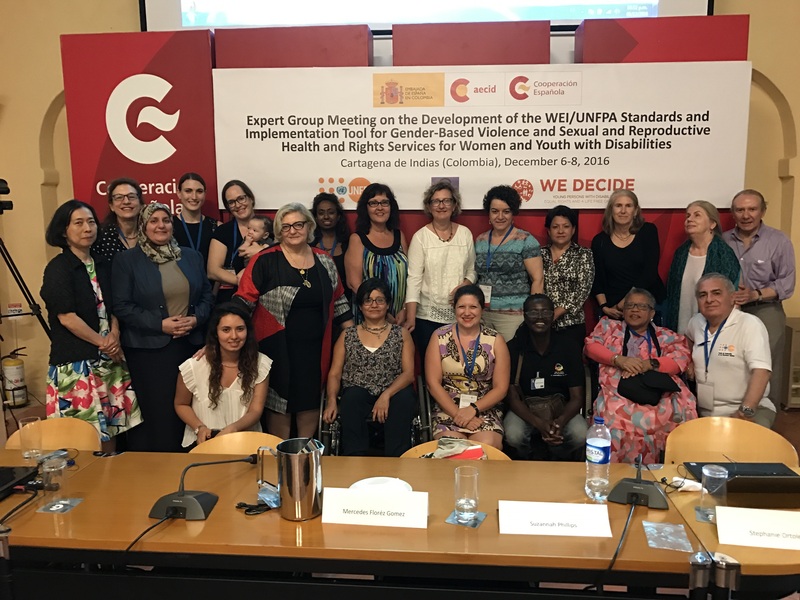 Doris Rajan, Director of Social Development at IRIS, joined an Expert Group Meeting at the Spanish Agency for International Development Cooperation training center located in Cartagena de Indias, Colombia on December 6-8, 2016, to help develop standards for violence against women with disabilities. The United Nations Population Fund (UNFPA) and the Spanish Agency for International Development Cooperation (AECID) are currently engaged in a multi-year program called WE DECIDE: Young people and Disability: Ensuring Social Inclusion and Gender Equality to Address Discrimination and Gender-Based Violence. This program promotes the human rights and social inclusion of adolescents and young people living with disabilities, with an emphasis on access to sexual and reproductive health services, information, and education and services to prevent and address sexual and gender-based violence. As part of this project, UNFPA engaged Women Enabled International (WEI) to research and draft the Standards and Implementation Tool to provide guidance for key stakeholders on the provision of quality, human rights-based SRHR and GBV services for women and young people with disabilities. In order to ensure that the final tool provides useful and comprehensive guidance for key stakeholders in a variety of global settings, UNFPA and WEI convened experts in sexual and reproductive health and rights and/or gender-based violence, such as IRIS, from both policy and practice perspectives through the Expert Group Meeting, which provided space for dialogue and interchange of good practices.